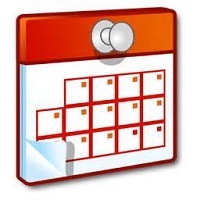 Each year companies and organizations offer their new calendars for the new year. The days of buying calendars could be over for good. Check out the free 2017 calendars by mail available now and be ready for the upcoming year. All of the free calendar offers come with absolutely no charge! Trees Forever – Since 1989, Trees Forever has completed more than 50,000 projects – planting more than 3,000,000 trees. 2017 Nelson-Miller Calendar – Each year, Nelson-Miller produces a brilliant wall calendar that has become wildly popular amongst our clients. Free Village Missions Calendar – Village Missions will not let the country church fade away. Since 1948, we have been keeping country churches alive in North America. 2017 Bless Israel Calendar – May your calendar serve as a daily reminder of our partnership in life-changing work. Joyce Meyer Calendar – Receive your free 2017 Wall Calendar, please complete and submit the form on their page. Available to those who live in the U.S. and Canada. Roadsides in Bloom Calendar – Provide your name and address to sign up for a free copy of the 2016 Roadsides in Bloom Calendar. American Lung Association – Get a free 2016 wall calendar from the American Lung Association.